U.S. National Security Adviser Susan Rice is calling for expanded military cooperation to help reduce tensions between the United States and China. 1 U.S. National Security Adviser Susan Rice talks with Fang Changlong, vice chairman of the Central Military Commission at Bayi Building, in Beijing, Sept. 9, 2014. 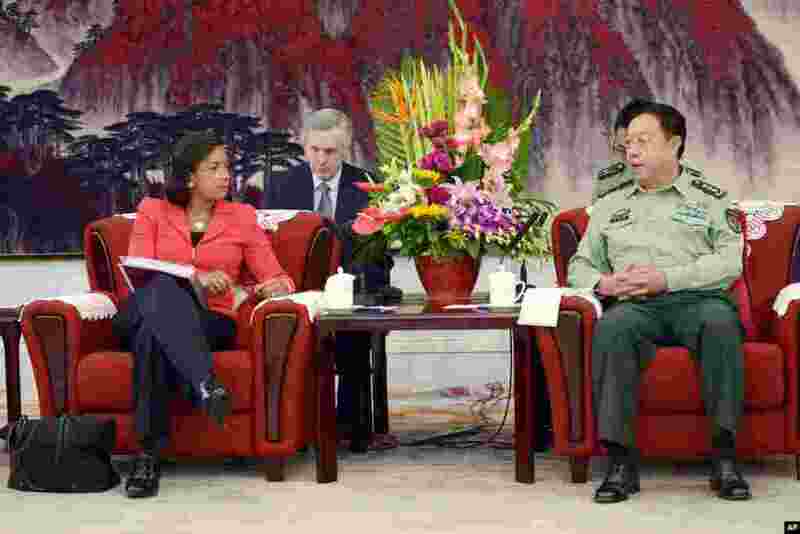 2 U.S. National Security Adviser Susan Rice chats with Chinese Foreign Minister Wang Yi (center) and U.S. Ambassador to China Max Baucus (left) as they head to a meeting at the Foreign Ministry office in Beijing, Sept. 9, 2014. 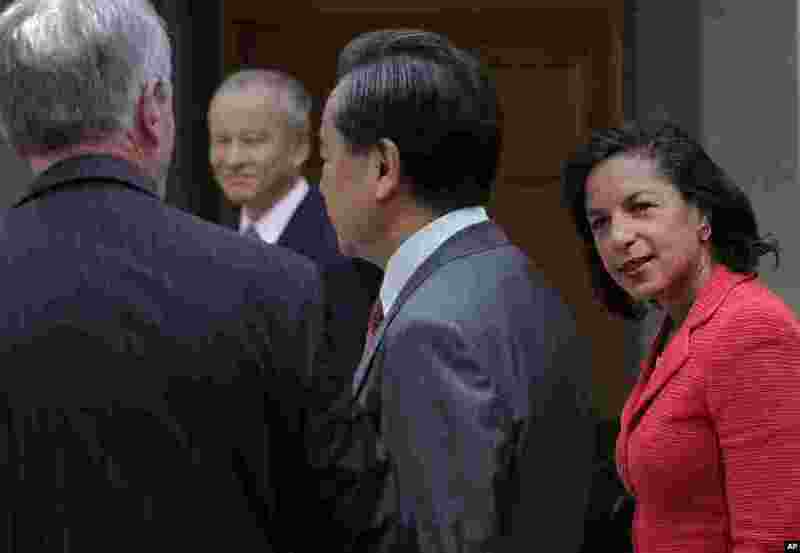 3 U.S. National Security Adviser Susan Rice chats with U.S. 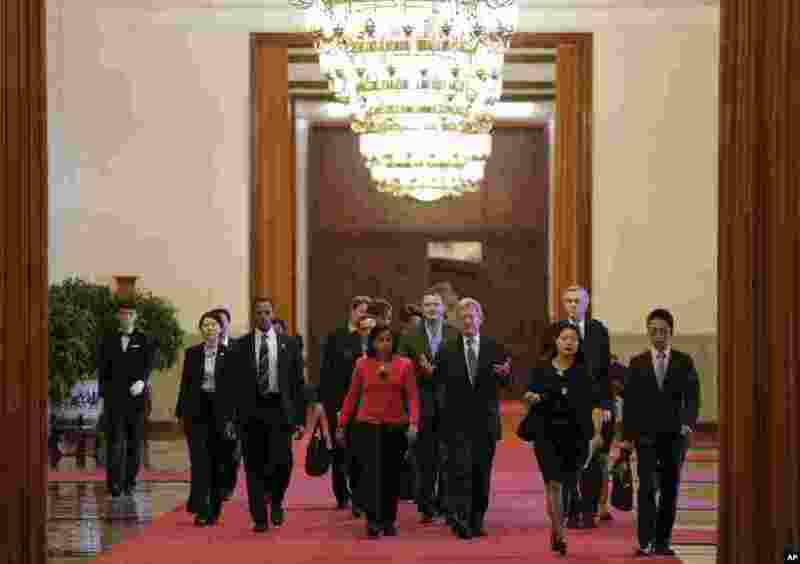 Ambassador to China Max Baucus (center right) as they head to meet with Chinese President Xi Jinping at the Great Hall of the People in Beijing, China, Sept. 9, 2014. 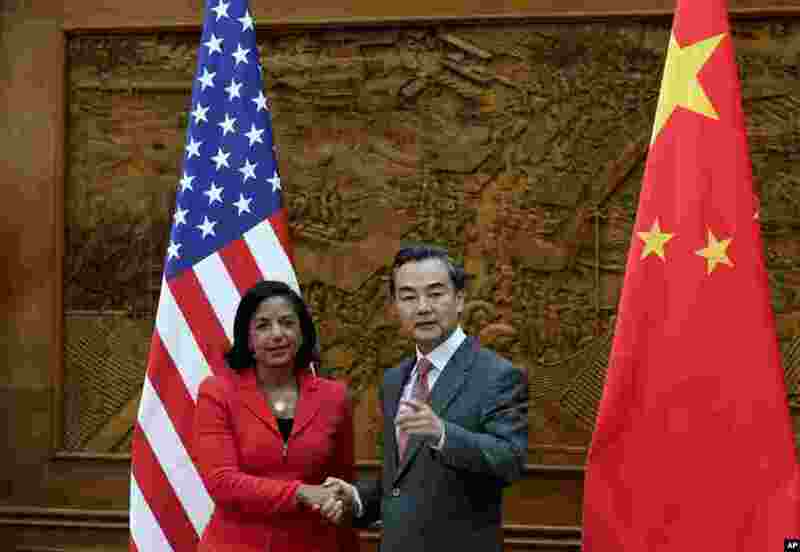 4 U.S. National Security Adviser Susan Rice shakes the hand of Chinese Foreign Minister Wang Yi at the Olive Hall before a meeting at the Foreign Ministry office, in Beijing, Sept. 9, 2014.